News: Lindholm generated six goals, 28 points and a minus-5 rating through 76 games in the 2018-19 season. Impact: Lindholm finished with a negative plus-minus rating for the first time in his six-year career, but a plus-10 rating over the last three games helped cover up some of the damage. His offensive game didn't take a big hit this year, falling just three points shy of the 2017-18 campaign, and he was depended on heavily averaging 24:00 of ice time. Lindholm will continue to be a top-four blueliner with the Ducks next year. News: Perry scored six goals and added four assists over 31 games in the 2018-19 season. Impact: Perry missed the first 51 games of the season with a knee injury. He clearly didn't return at full strength as this was the lowest point-per-game pace of his career and his minus-16 is the worst mark of his career. Perry's still being paid $8.625 million -- currently the highest salary on the team -- for the next two years, so the Ducks are hoping he can spend the summer recovering and come back closer to his old self next year. News: Megna was sent down to AHL San Diego on Sunday. Impact: Megna had four points in 28 games at the NHL level this season after appearing in 15 games over the two prior campaigns. He's still on the bubble between the NHL and AHL levels, but he'll go get some extra work in with Anaheim's season all wrapped up. He should rejoin the team for training camp next season. News: Anaheim assigned Larsson to AHL San Diego on Saturday, Elliott Teaford of The Orange County Register reports. Impact: The Ducks played the last game of their season Friday, so Larsson will head to the minors to try to help San Diego secure a spot in the Calder Cup playoffs. The 2015 first-round pick will finish the campaign having notched five assists in 49 games with the big club, and he should have a full-time role in Anaheim in 2019-20. News: Jones was reassigned to AHL San Diego on Saturday, Elliott Teaford of The Orange County Register reports. Impact: The Ducks were the first NHL team to finish up the regular season, so Jones will continue honing his craft with the Gulls. Anaheim's first-round (24th overall) pick from the 2016 draft produced two goals and three assists through 30 games as a rookie this season. He should be a dynasty stash in a variety of formats, and even owners in redraft leagues should view him as a late-round sleeper for 2019-20. News: Guhle (oblique) recorded a blocked shot and skated 6:02 in Friday's 5-2 win over the Kings. Impact: Guhle missed a month with the injury. He ended with one assist in eight games between the Ducks and the Sabres this season. At 21 years old, Guhle still has time to develop, but the Canadian blueliner has yet to make himself relevant in fantasy. News: Ritchie received four minor penalties and a misconduct in the third period of Friday's 5-2 win over the Kings. Impact: Ritchie became a familiar face in the sin bin in the Ducks' final game, and then his role in a kerfuffle at the end of the game put his count at 18 PIM. Ritchie had a career year with 31 points in 60 games, and he also set a new personal high with 82 PIM after Friday's festivities. News: Fowler collected two helpers in Friday's 5-2 win over the Kings. Impact: Fowler had the worst non-lockout season of his career, finishing with five goals and 18 assists in 59 games this year after missing two months with a face injury. It was a down year for the Ducks as a whole, and Fowler was no exception. He'll be looking to return to his usual 30-plus points next year. News: Jones collected a pair of assists and four shots in Friday's 5-2 win over the Kings. Impact: The assists give Jones five points in 30 contests this season, and he added 58 shots on goal. The American winger, a first-round pick from 2016, will try to build on this effort next year after featuring mostly as a fourth-liner in this campaign. News: Sprong scored his 14th goal of the season in a 5-2 win over the Kings. Impact: The goal, coming late in the second period, stood as the game-winning score. Sprong has accumulated 23 points in 63 games between the Ducks and Penguins this year, as well as firing 125 shots on goal. He's a second-round pick from 2015, and may be able to carve out a larger role in 2019-20. News: Rowney tallied a goal in Friday's 5-2 win over the Kings. Impact: The goal gives Rowney seven tallies and 20 points in 62 games, as well as 178 hits. He's a physical fourth-line winger, and he only had 12 PIM this season, but his fantasy outlook in 2019-20 remains limited to only the deepest of formats. News: Holzer potted a goal on two shots and added three hits and two blocked shots in Friday's 5-2 win over the Kings. Impact: Had he not found twine, it would have been Holzer's second straight year without scoring. He ends with four points, 61 hits and 38 blocks in 22 games this season. Holzer has never played more than 34 games in a campaign, and never registered more than seven points, as his usage is typically defensive in nature. News: Silfverberg scored an empty-net goal and added an assist in Friday's 5-2 win over the Kings. Impact: Silfverberg ended the year with a goal and four assists over his final three games. He had 43 points (24 goals, 19 helpers) in 73 games -- the third straight 40-point campaign for the Swedish winger. News: Gibson made 44 saves on 46 shots in Friday's 5-2 win over the Kings. Impact: The Kings threw a lot of rubber at Gibson, but the Pittsburgh native stood his ground just fine for the victory. Gibson ends the year at 26-22-8 with a 2.84 GAA and a .917 save percentage. It's the worst of his four seasons as the primary starter -- the Ducks began the year plagued by injuries before Gibson himself missed most of February -- so he'll be looking to bounce back in 2019-20. News: Gibson will tend the home twine for Friday's game versus the Kings, Curtis Zupke of the Los Angeles Times reports. Impact: Gibson has a .916 save percentage and 2.86 GAA this campaign, and those numbers have developed into a 25-22-8 record. The Kings have the 30th-ranked offense -- Anaheim has the worst -- with 2.40 goals per game, so Gibson stands a chance to end a frustrating season on a high note. News: Guhle (oblique) is expected to rejoin the lineup for the season finale Friday against the Kings, Eric Stephens of The Athletic reports. Impact: Guhle was expected to return before the season concluded, but it was unclear if it would come at the NHL or AHL level. It appears he'll turn in one more effort with the big club, replacing Andy Welinski -- who was reassigned to AHL San Diego on Friday -- among the pairings. News: Anaheim reassigned Welinski to AHL San Diego on Friday. Impact: The Ducks will play their final game of the season Friday against LA, so there's no reason for them to keep a depth defenseman like Welinksi on their roster. The 25-year-old will now set his sights on helping San Diego secure a spot in the Calder Cup playoffs. News: Silfverberg produced an assist and two blocked shots in Wednesday's 3-1 win over the Flames. Impact: The assist allowed Silfverberg to best his output from last season, with 41 points in 72 games this year. It's his second-best campaign in a seven-year career, and he's largely been unaffected by the dearth of scoring in Anaheim this season with his third straight 40-point campaign. He's earned 11 of his points on the power play and two more while shorthanded. News: Ritchie (upper body) posted three shots and two PIM in his return to action in Wednesday's 3-1 win over the Flames. Impact: The physical winger missed four games with the injury. Ritchie remains at 31 points in 58 games with 122 hits, 64 PIM and 95 shots on goal this year. He could make for a decent DFS option should he remain in the lineup Friday in the Ducks' season finale versus the Kings. News: Rowney generated a pair of helpers in Wednesday's 3-1 win over the Flames. Impact: Rowney is up to 19 points (six goals, 13 assists) in 61 contests this season. He added five hits and three shots on goal Wednesday, giving him 177 hits and 52 shots for the season. Rowney is more known for his physicality, but an increase in production in his third year has given the 29-year-old a little fantasy relevance in deep formats. News: Jones potted a goal on five shots in Wednesday's 3-1 win over the Flames. Impact: It's Jones' second career tally, and his first game-winning goal. Jones has three points in 29 games this season, averaging 13:12 per contest coming into the night. He also has 54 shots on goal. News: Miller stopped 25 of 26 shots in Wednesday's 3-1 win over the Flames. Impact: The Flames didn't have their best lineup out there, but a win is a win in what is likely Miller's last appearance of the season. He improved to 8-7-2 with a 2.76 GAA and a .912 save percentage. The Ducks are the only team to close their season on Friday, finishing against the rival Kings, but John Gibson is likely to make the start. News: Miller will defend the home net Wednesday against the Flames, Eric Stephens of The Athletic reports. Impact: While the Flames are typically a team to fear in regards to fantasy, the opposition will rest many of its regulars with the top seed in the west already secured. As a result, Miller will face a much lighter lineup that could make him a sneaky play in daily formats. Of course, he'll need to post a much better performance than he did last Friday when the red light behind him was lit up six times by Calgary. News: Manson (undisclosed) won't play Wednesday against Calgary and likely won't be available for Friday's season finale against LA, Elliott Teaford of The Orange County Register reports. Impact: It appears as though Manson's season has almost certainly come to an end. If that ends up being the case, the 27-year-old blueliner will finish the campaign having totaled a disappointing 16 points in 74 contests. The 6-foot-3 American will undoubtedly be looking to bounce back offensively in 2019-20. News: Ritchie (upper body) is expected to return to the lineup for Wednesday's game against Calgary, NHL.com's Dan Arritt reports. Impact: Ritchie, who's notched nine goals and 31 points in 58 games this campaign, is expected to skate on the Ducks' third line during Wednesday's contest. News: Dotchin was reassigned to AHL San Deigo on Wednesday. Impact: Dotchin failed to make a strong impression with the Ducks, as he heads back to the minors having accumulated just one point (an assist) through his first 20 games for a club that has struggled virtually all year on both ends of the ice. It would be very surprising if Dotchin ends up receiving a qualifying offer from the Ducks as a restricted free agent this summer. News: Anaheim reassigned Sherwood to AHL San Diego on Tuesday, Elliott Teaford of The Orange County Register reports. Impact: The 24-year-old American will now shift his focus to helping San Diego secure a spot in the Calder Cup playoffs. News: Terry (lower body) will be sidelined for 8-to-12 weeks due to a non-displaced fractur of his leg. Impact: Unfortunately, a surprisingly strong campaign for the 21-year-old winger will end in a brutal way. Terry finishes 2018-19 with 13 points -- four goals and nine assists -- over 32 games after he compiled a point-per-game pace in 41 tilts with AHL San Diego. He could be a sleeper in fantasy drafts next season, assuming the leg issue heals up and he's ready to roll. News: Perry scored a goal in Saturday's 5-1 win over the Oilers. Impact: His score ended a six-game pointless slump. Any production for Perry is simply consolation after he missed the first 51 games due to a knee injury, while he's been struggling offensively with just 10 points in 29 games. The 33-year-old also comes in at a minus-14 rating, which would be the worst mark of his career. A lot of these issues could be attributed to a slow return from injury, but the Ducks have plenty of reasons to be concerned considering they're on the hook for two more years of Perry's $8.625 million AAV contract. News: Silfverberg dished out two assists in Saturday's win over the Oilers. Impact: Silfverberg's two helpers lifted him to 40 points for the third straight campaign, and he's already tied his career high in goals (23). The 28-year-old has struggled defensively this season with a minus-12 rating, but that can simply be attributed to the overall state of the Ducks this season. News: Gibson allowed one goal on 31 shots in a 5-1 victory against the Oilers on Saturday. Impact: While he hasn't always been tasked with stopping the most pucks lately, Gibson has won seven of his last eight games while posting a .925 save percentage. It's been a subpar season for Gibson overall, but that's mostly because the team has played so poorly in front of him. However, Gibson and his teammates are seemingly salvaging his numbers, as he is now 25-22-8 with a 2.86 GAA and .916 save percentage in 57 games. News: Updating a previous report, Terry (lower body) isn't suiting up Saturday in Edmonton, Derek Van Diest of the Edmonton Sun reports. Impact: The conflicting reports are the result of a snafu on the Ducks' part, as they accidentally listed Terry as active and scratched a healthy Jake Dotchin, leaving themselves a player short for the contest. News: Terry isn't listed among Anaheim's scratches, indicating that he'll suit up against the Oilers on Saturday. Impact: Terry recovered quickly after blocking a shot Friday against Calgary and should get a chance to build on his season totals of four goals and nine assists through 32 appearances. News: Gibson will patrol the blue paint against host Edmonton on Saturday, Derek Van Diest of NHL.com reports. Impact: The Oilers naturally kick the scoring up a notch at home, as they're ranked 16th in that metric at 3.08 goals per game -- that's seven pegs higher than their scoring rate away from Rogers Place (2.63). Gibson will look to deny Edmonton's top-heavy lineup and lock down his third straight win, having already snuck past the Sharks and Cancuks in succession. News: Larsson (leg) went minus-2 with three shots and two hits and blocked shots apiece in Friday's 6-1 loss to the Flames. Impact: Considering the 21-year-old blueliner returned from a four-game injury layoff and received 20:41 of ice time with a nice helping of ancillary counting stats, Larsson is back in play as a budget option in daily formats. The Swede has only compiled five assists to represent his entire point total over 46 games, but he tends to compensate by adding decent totals in the defensive zone, as evidenced by 40 hits and 57 blocked shots. News: Terry was injured in Friday night's 6-1 loss to the Flames, with Will Nault of Sportsnet960 writing that the rookie left the road rink in a boot and crutches as the result of a blocked shot on Mark Giordano. Impact: The Ducks will now travel to Edmonton for Saturday night's game against the Ducks. It seems highly unlikely that Terry will be good to go for that contest, so we're expecting a call-up to be made from AHL San Diego, especially if Nick Ritchie (upper body) doesn't round into playing shape for the second game of the back-to-back set. News: Welinski posted the first goal of his NHL career in a 6-1 loss to the Flames on Friday. Impact: The score actually put the Ducks ahead early, but the Flames then posted six unanswered goals. Welinski will help owners most in the hits category, but he does have two points in the past three games. The 25-year-old has one goal and four points in 24 NHL games this season. News: Miller allowed six goals on 37 shots in a 6-1 loss to the Flames on Friday. Impact: Calgary absolutely took over the game starting in the second period, as in the final two stanzas, the Flames outshot the Ducks, 29-12. Miller couldn't bail them out, letting in five during the final two periods. The veteran goaltender has yielded six goals in two of his last three outings. He is 7-7-2 with a 2.86 GAA and .909 save percentage in 19 games this season. News: Fowler (undisclosed) will play in Friday's game versus the Flames. Impact: Fowler was helped off the ice in Tuesday's win versus the Canucks, but it appears that won't be a lingering issue. The 27-year-old blueliner will return to his role logging major minutes on the blue line and power play. He has 21 points through 55 games, with six of those coming with the man advantage. News: Larsson (leg) will play in Friday's game versus the Flames. Impact: Larsson will return after missing the last four games, and his presence will bump Jake Dotchin out of the lineup. Fantasy owners shouldn't expect much out of the 21-year-old, as he has zero goals and five assists in 49 NHL games. News: Miller will defend the road cage in Friday's game versus the Flames. Impact: Miller has struggled lately with three straight loses and an ugly .848 save percentage in that span. The Flames feature one of the league's premier offenses, but they've struggled with just one goal over the last two games. Miller will look to get back on track and steal one here. News: Ritchie (upper body) should be cleared soon, Lisa Dillman of The Athletic reports. Impact: Ritchie didn't join the team in Vancouver for Tuesday's game and there's no word on him surfacing in Calgary, so it's best to consider him doubtful for those contests unless something suggests he's with the squad. While he's expected back relatively soon, Ritchie's opportunities to return are running thin. If he misses the two games in Canada, the winger has just two home games Wednesday and Friday before the 2018-19 campaign concludes. News: Manson -- who exited Tuesday's game against the Canucks late following a hit from Tanner Pearson -- is visiting with a doctor, Lisa Dillman of The Athletic reports. Impact: With Manson checking in with doctors, it seems likely that he will be unavailable for both Friday and Saturday's contests in Canada. We'll update the blueliner's status, but, barring a quick turnaround, look for Jake Dotchin to serve as the sixth defenseman on the two-game trip. News: Dotchin was called up from AHL San Diego on Thursday. Impact: Dotchin could be utilized in Friday's road game against the Flames. After all, Cam Fowler is dealing with an undisclosed injury that he sustained in Tuesday's game against the Canucks, and the former is on hand as insurance in case the more established defenseman doesn't feel well enough to suit up. News: Terry had an assist and went plus-3 in Tuesday's 5-4 win over the Canucks. Impact: He now has three assists in his last three outings. Terry has recorded four goals and nine helpers in 31 appearances this season, with six of the 13 points coming on the power play. He doesn't shoot often (just 25 shots on goal this year) and provides virtually no physical presence. News: Sherwood scored a goal and added an assist in Tuesday's 5-4 win over the Canucks. Impact: It's the first two-point outing of the rookie winger's career. Sherwood is up to six goals and six helpers in 48 games this season, skating with the Ducks for just his second game since a recall Saturday. Sherwood added three shots and a plus-3 rating in the contest. News: Fowler had to be helped off the ice late in Tuesday's 5-4 win over Vancouver, Ben Kuzma of the Vancouver Province and Sun reports. Impact: Fowler was involved in a collision with Canucks forward Tanner Pearson, forcing the blueliner to exit a little early after posting a shot and a plus-1 rating in 19:32 of ice time. Expect some clarity on Fowler's status prior to Anaheim's next game Friday in Calgary. News: Gibson stopped 28 of 32 shots in Tuesday's 5-4 win over the Canucks. Impact: Gibson ended up on the right side of a back-and-forth contest that saw the Canucks come within one goal in the third period. His record improved to 24-22-8 with a 2.89 GAA and a .915 save percentage. The Ducks continue their road trip in Calgary on Friday. The Flames have the fourth-best offense in the league at 3.53 goals per game, making Gibson a risky play should he draw the start. News: Larsson (leg) is listed as a scratch Tuesday in Vancouver, Jeff Paterson of TSN 1040 reports. Impact: Larsson's next chance to return to the lineup will come Friday in Calgary. His absence likely isn't causing many waves in the fantasy realm, as the Swede has just five points in 45 games this season and is still searching for his first NHL goal. News: Gibson led his team out onto the ice Tuesday in Vancouver, so he'll scuff up the road crease for the contest. Impact: Gibson brings some nice momentum into this one, having won five times in his past six games. He's allowed two goals three times and three goals three times in that stretch, setting a nice baseline for what can be expected from him against a Canucks team that ranks 21st in home scoring at 2.89 goals per game. News: Ritchie (upper body) didn't travel to Vancouver for Tuesday's game against the Canucks, Eric Stephens of The Athletic reports. Impact: It isn't clear if Ritchie might be a candidate to rejoin the Ducks at some point during their current three-game road trip, but he'll miss Tuesday's contest at a minimum. Kiefer Sherwood will continue to hold onto a spot in the lineup until Ritchie is cleared to play. News: Eriksson Ek was assigned to AHL San Diego on Monday, Elliott Teaford of The Orange County Register reports. Impact: The 6-foot-3 prospect was selected in the fifth round of the 2017 NHL Draft and has spent his entire career to this point in his home country of Sweden. Eriksson Ek will join Anaheim's minor-league squad and likely start the season there next season as well. News: Rowney scored a shorthanded goal on two shots and added six hits in Saturday's 4-3 shootout loss to the Kings. Impact: The third-year winger has a career-high 17 points in 57 appearances this season, along with 163 hits. He's stuck on the Ducks' fourth line, and given their league-worst offense of 2.3 goals per game, Rowney has actually been a bit of a pleasant surprise for his first season in Anaheim. Still, he's not likely to move the needle in fantasy outside the deepest of formats. News: Fowler scored his fifth goal of the year in Saturday's 4-3 shootout loss to the Kings. Impact: The goal gives Fowler five points in his last five contests, and 21 points in 54 appearances this season. It's his lowest total since posting 11 points in the lockout-shortened 2012-13 campaign, but he's also going to finish the year with his lowest count in games played for a non-lockout season. News: Miller stopped 27 of 30 shots in Saturday's 4-3 shootout loss to the Kings. Impact: Miller was the busier of the two goalies in the contest, but couldn't hold onto a 3-2 lead in the third period, as rookie Carl Grundstrom helped the Kings force overtime. His record fell to 7-6-2 with a 2.67 GAA and a .915 save percentage. John Gibson will likely return to the crease Tuesday in Vancouver. News: Ritchie has an upper-body injury and will sit out of Saturday's game versus the Kings. Impact: He's having a career year with 31 points in 58 games, and his absence will hurt the Ducks' offensive potential. Ritchie's absence will also open the door for Kiefer Sherwood to enter the lineup. News: Miller will tend the twine in Saturday's game versus the Kings, Jon Rosen of Fox Sports West reports. Impact: Miller has struggled in four starts since the trade deadline with a 1-3-0 record and an .869 save percentage. The Ducks have picked up their offensive support lately, however, so he'll look to right the ship against the lowly Kings, who have averaged just 2.08 goals per game in March. News: The Ducks recalled Sherwood from AHL San Diego on Saturday. Impact: Sherwood played 46 of the first 47 games of the season with the Ducks, but he has spent 24 games in the minors since Jan. 15. The 23-year-old will get another chance with the big club now, although it's unclear if he'll play Saturday versus the Kings. News: Fowler recorded a pair of assists -- one coming on a power play -- in Friday's 4-3 overtime win against the Sharks. Impact: The two assists give Fowler 20 points in 53 games, with his second coming on Jakob Silfverberg's overtime winner. The 27-year-old blueliner also finished Friday's game tied for the team lead with five blocks. News: Silfverberg found the scoresheet three times with an overtime goal and two assists in Friday's 4-3 overtime win against San Jose. Impact: The three points give Silfverberg 13 in 12 games, as the Swede is averaging more than a point per game in the month of March. Friday's marker also happened to be his fourth game-winning goal in 2018-19, good for most on the Ducks. Through all the turmoil, Silfverberg's play this season has been one of the few bright spots in Anaheim's otherwise disappointing campaign. News: Gibson stopped 23 of 26 shots in a 4-3 overtime win against the Sharks on Friday. Impact: The win is Gibson's fifth in his last six starts and moves his record to 23-22-8 with a 2.87 GAA and .916 save percentage. It was a good bounce-back performance from Anaheim's netminder, who was coming off a loss in his last start. The Ducks now head to LA to face the Kings on Saturday, with no word yet on who will start in net for the visitors. News: Gibson will guard the goal in Friday's home game against the Sharks, Eric Stephens of The Athletic reports. Impact: Gibson was a little shaky in his last start Wednesday against Winnipeg, surrendering three goals on 23 shots en route to a 3-0 defeat. The American backstop will look to bounce back and pick up his 23rd win of the season in a home matchup with a slumping San Jose team that's lost four straight games. News: Johnson (head) has begun working out, but is still limited to off-ice work, Eric Stephens of The Athletic reports. Impact: Considering Johnson hasn't been able to get back on the ice and the Ducks have just seven games remaining likely means the netminder is done for the season, even if the team hasn't officially made any announcements. If the 32-year-old does suit up again this year, it probably won't be until April. Of course, Johnson might not have been able to steal starts away from John Gibson and Ryan Miller even in a healthy state. News: Guhle is dealing with an oblique injury, but Ducks GM Bob Murray indicated the defensemanwill play this season, whether it be in the NHL or in the minors. Impact: While it sounds as though Guhle should suit up at some point, it doesn't appear as though his return is imminent. The team should provide an update on his status once he's able to retake the ice. News: Eaves is dealing with the same type of muscle weakness issues that plagued him last season, Eric Stephens of The Athletic reports. Impact: This news could perpetuate the notion that Eaves may retire after being afflicted with a laundry list of injuries over the last two seasons. The Alberta native was assigned to AHL San Diego on Feb. 20 but reportedly hasn't played in a while. Eaves has played in just seven NHL games this season, with his last game action taking place Feb. 4. News: Larsson (leg) won't be in the lineup for the Ducks' next two games but is expected to resume skating soon. Impact: Larsson is dealing with a charley horse that is limiting his range of motion and keeping him off the ice. If the defenseman can skate Monday or Tuesday, he could be ready in time to face off with Vancouver on Tuesday. Once cleared to play, Larsson figures to bump Jaycob Megna or Andy Welinski from the lineup. News: Megna recorded one shot on goal and also dished out a hit in Wednesday's 3-0 loss to Winnipeg. Impact: The third-pairing defenseman has only found the scoresheet four times in 22 games this season. Regardless of format, Megna is not worthy of fantasy consideration. News: Gibson stopped 20 of 23 shots in a 3-0 loss to Winnipeg on Wednesday. The Ducks' starting goaltender had won his last four starts. Impact: Anaheim's crease dweller made 20 saves -- including a few beauties -- but the three pucks that eluded Gibson proved to be more than enough on this night. The loss moves his season record to 22-22-8, to go along with his 2.87 GAA and .916 save percentage. 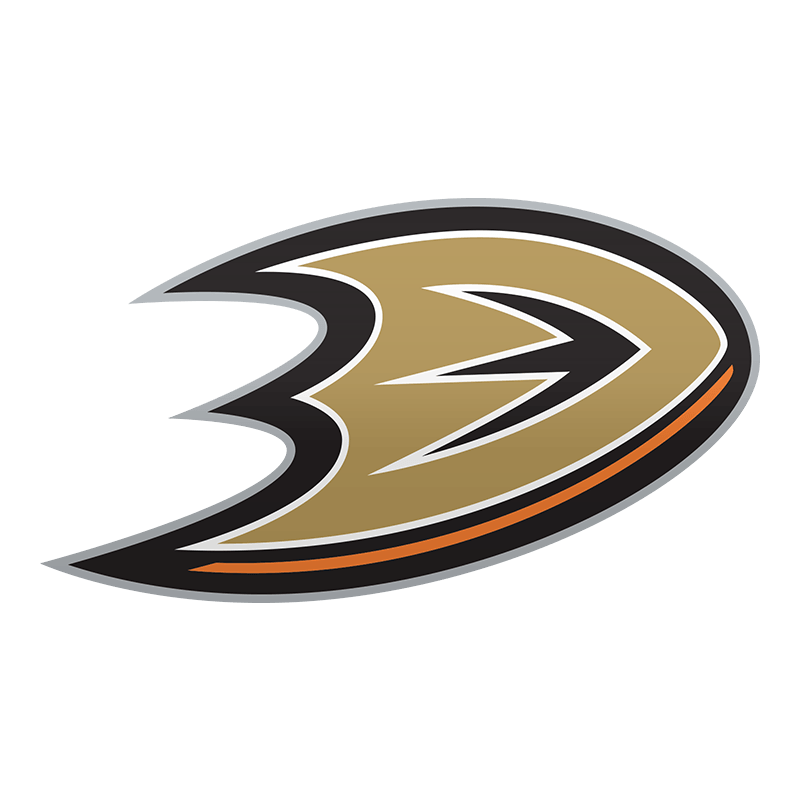 News: The Ducks recalled Welinski from AHL San Diego on Wednesday, NHL.com's Dan Arritt reports. Impact: Jacob Larsson is considered day-to-day with a thigh bruise, so Welinski will draw into the lineup for Wednesday's matchup with Winnipeg. The 25-year-old has notched two assists in 19 appearances with the big club this season. News: Larsson is expected to miss Wednesday's matchup with Winnipeg due to a charley horse, Elliott Teaford of The Orange County Register reports. Impact: Larsson's absence will force the Ducks to promote a player from the minors in order to fill out the blue line, unless Brendan Guhle (upper body) is cleared to play. The 21-year-old Larsson tallied five helpers in 45 games this season and is still looking for his first NHL goal. Even if the Swede does suit up, his limited offensive contributions will prevent him from offering even mid-range fantasy value.